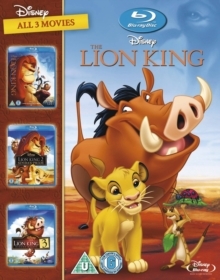 Disney animated musical. 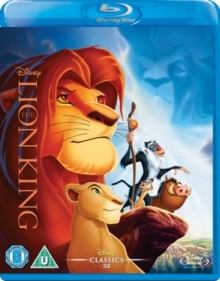 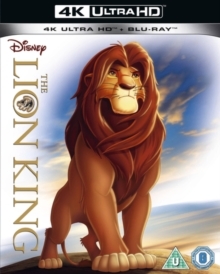 After the death of his father, Mufasa (voice of James Earl Jones), Simba (Jonathan Taylor Thomas/Matthew Broderick) is destined to become King of the Pride Lands, but is instead forced into exile by his evil and greedy uncle, Scar (Jeremy Irons), who tricks Simba into taking responsibility for his father's death so he can claim the throne for himself. 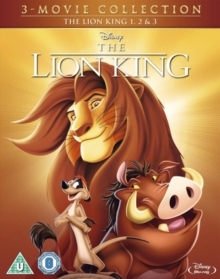 Away from his family, Simba meets a meerkat named Timon (Nathan Lane) and a warthog named Pumbaa (Ernie Sabella) and begins living a carefree life, until his best friend, Nala (Moira Kelly), convinces him to return home. 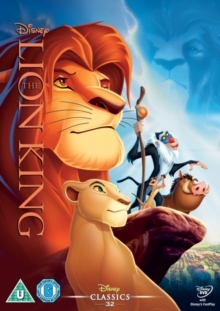 With the help of his new friends he overcomes great fear and adversity to defeat Scar and take his rightful place as ruler of the Pride Lands.